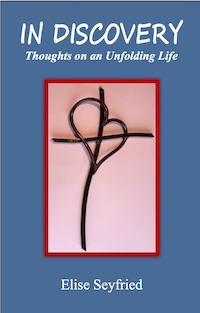 In Discovery: Thoughts on an Unfolding Life is Elise’s fourth book of humorous spiritual essays. Here are more stories about her life as writer, church worker, mom of five and grandma of two. Elise shares her annual search for a Baby Jesus for the church Christmas pageant, breaking up with her Fitbit, botched yard sales, back-to-school follies, and much more. Elise reminds us of the wonder of watching our ordinary, extraordinary, God-given everyday lives unfold. Purchase all three books as a set- "Underway", "Unhaling", and "Everyday Matters".